Methane plumes have been found in the Atlantic ocean by the hundreds, leaving scientists concerned that they could be caused by global warming. The plumes or vents were found off the U.S. East coast in the Atlantic Ocean and pictures show the methane streaming up through the ocean floor around 1,400 feet below the sea. The research study was conducted by Mississippi State University and found 570 vents between Georges Bank, Mass. and Cape Hatteras, N.C.
Methane gas is an colorless and odorless chemical compound. It is the main ingredient in natural gas and is highly flammable. The chemical compound is believed to be a significant contributor to global warming. Scientists are concerned that the data collected could indicate methane leakage in the U.S. Atlantic is far more widespread than previously thought. The vents are called cold seeps, which are areas where the gases leak through the sea floor into the surrounding waters. Contrary to what the name suggests, cold seeps are not cooler than the area around them. In fact, they are generally warmer than the surrounding waters. The researchers have not actually tested the hundreds of plumes found in the Atlantic to confirm they are methane, but the scientists reported on Aug. 24 in the journal Natural Geoscience they believe they are more than likely methane. 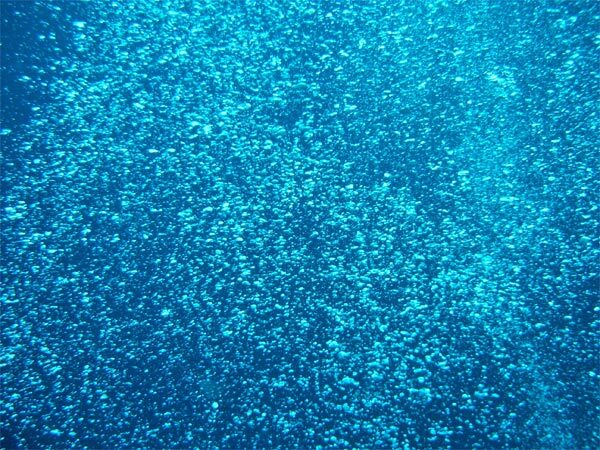 The bubbles were detected by the Okeanos Explorer using sound waves, which it also uses to map the sea floor. The method of calculating the distance and time it takes for sound waves to travel from the ship to the ocean floor and back is called multibeam sonar. In 2013, researchers conducting a similar study of the ocean floor with a remotely operated vehicle, named Jason, located the largest methane seep ever discovered in the Atlantic ocean. Seeps are generally teaming with sea life, as they support a diverse ecosystem. Bacteria love the methane bubbles, drawing crab, fish, mussels, amoebae and other sea life. Methane plumes are usually found in shallow water and are generally found less than 1,640 feet or 500 meters deep. Researchers report that the seeps typically arise from microbes that release the methane. While conducting studies with Jason, researchers also found deeper vents. The deeper methane vents were patches of methane hydrate, a solid form of methane created when methane solidifies after mixing with the icy water surrounding it. Previously, there were only three known plumes in all of the U.S. Atlantic coastal waters. The new findings suggest the seeps could be responsible for emitting up to 90 tons of the hazardous greenhouse gas each year and a spokesperson for the study stated that the findings suggest there could be up to 30,000 similar seeps of various sizes throughout the Atlantic. Researchers are concerned by the findings because the effects of a large number of the vents are unknown. Additionally, scientists are concerned the emissions could perpetuate the greenhouse effect causing global warming to accelerate. Further research will need to be conducted to gain insight into how additional vents can be prevented and to learn more about the effects of the hundreds of methane plumes found in the Atlantic ocean. One Response to "Methane Plumes Found by the Hundreds"